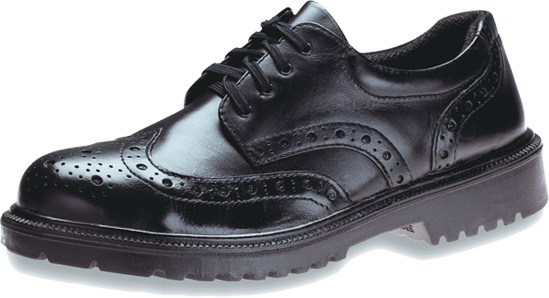 KING'S EXECUTIVE SAFETY SHOE KJ484SX is rated 4.3 out of 5 by 3. Rated 4 out of 5 by adam19xx from Best looking safety shoes you can find This is my second purchase of the same shoes from Horme. One of the shoe flew away along the highway in a motorcycle accident for the first pair, hence I came back for another. Very nice looking, very sturdy. 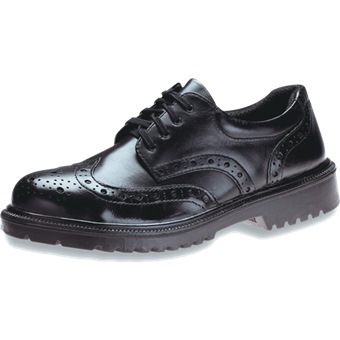 Sole is anti-slip with safety toecap. If you wish the shoes to be more comfortable, buy one size larger and wear it with a sports or military insole, and you'll get the perfect working shoes for a very reasonable price! Rated 4 out of 5 by Kelvin96 from Good shoes to last you for the day ! Considering the fact that I had been wearing it everyday at least 12 hours each day, the shoes remain sturdy and comfortable. However, it would be better if improvisation is made to the bottom of the shoe to make it more durable. Otherwise, it would have a a product that is worth purchasing since it provides comfort especially for individuals who worked outdoor and has long working hours.